Cutis Marmorata (c) Kirsten A.
Kuredu Island in the north of Lhaviyani Atoll (Maldives), well known for its beautiful diving spots. The island is 150 km away from Male Airport and can be reached in approximately 40 minutes. 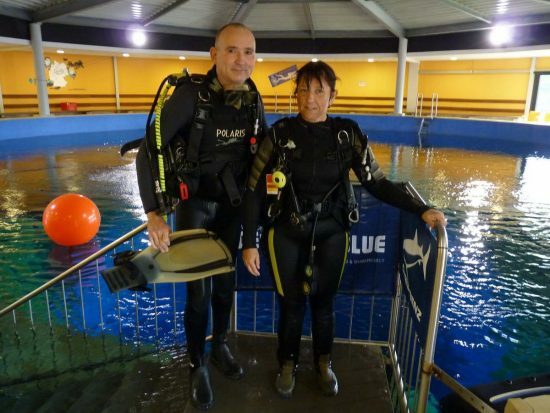 However, on this day, there was bad news from paradise... Marion B., an experienced 54-year-old diver from near Wiesbaden who had dived more than 200 times previously, was enjoying a holiday together with her husband and friends. They spent four days on Biyadhoo Island before they were due to go on a boat safari for 10 days. Marion did 3 dives each day together with the safari boat group. However, Marion gradually started feeling more and more tired and discovered strange blotches on her body, which she didn't think was serious. "I thought it was a sun allergy or something", Marion says now. Without the well-known "diving fleas", Marion did not recognise the first warning signs. 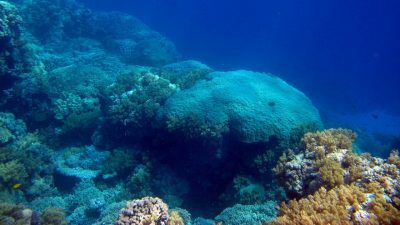 On the third day and after the third dive (approximately 30 metres with nitrox), it happened: as Marion was returning to the safari boat on the dhoni after a dive, she suddenly had a serious seizure and became unconscious. Marion's friends and the crew provided first aid immediately and administered oxygen. Nobody knew what had happened as it had appeared to be an uneventful dive without any particular incidents. The boat immediately made its way to Kuredu Island, where Marion suffered a further seizure. The situation had become serious... The call to the aqua med emergency hotline was made by the treating doctor on Kuredu Island. He told the aqua med doctor that the patient was in such a bad condition that he was unable to provide any further treatment locally. Marion was only partially conscious, was disoriented and had bad vital signs. She was taken to the small island hospital on Male Island on the last seaplane of the day for a CT scan to rule out a brain haemorrhage. Even here, the conditions for Marion's further treatment were not ideal. 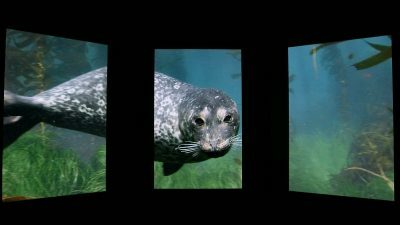 A joint decision was made to transport Marion together with her husband to Bandos immediately for treatment in the decompression chamber. It was decided that an anaesthetist would accompany her and she would be under sedation. Treatment was provided in accordance with Table 6 (approx. 5 hours with a maximum treatment depth of 18 metres), with an extension of up to a total of 8 hours. At this time, an experienced decompression chamber doctor from Germany was working at the hospital. The transfer and treatments went smoothly. However, Marion's condition did not improve as expected. Her skin showed clear signs of DCS (cutis marmorata = blotchy, marbled looking skin) which made it seem more and more likely that a diving accident had occurred. The right side of Marion's body was also paralysed, meaning that the possibility of a stroke could not be fully excluded either. When the local treating doctor prepared Marion's husband for the worst and informed him that his wife would most likely be left with a permanent disability (loss of speech and paralysis on one side), this was an enormous shock. Marion was transported by boat to the international clinic in Male approximately 20 minutes away and was admitted to the intensive care unit. As Marion's husband does not speak English, the aqua med doctor on the hotline took over all further coordination with the local treating doctors. In addition to the acute treatment, return transport to Germany needed to be arranged and the high costs that had already been incurred needed to be settled. There was a rush of activity at the aqua med hotline – the office in Bremen was notified and all stops were pulled out – emergency management was in full flow. An ambulance plane was organised from Male to Frankfurt am Main and Marion was prepared to travel home accompanied by a doctor. Thanks to the decompression chamber treatment, most of the nitrogen had left Marion's body, but she still had severe sensory and physical limitations. However, the paralysis in the right arm improved as early as on the flight; Marion was able to open a water bottle – a great success! The further transport from the airport to the clinic was organised as well as the transfer of the necessary medical reports for further treatment to the German clinic. Marion was taken to a specialist neurological clinic. After 12 days she was able to leave hospital. During the following rehabilitation treatment, Marion practised walking again and also had to relearn how to do everyday things. The doctors were impressed with Marion's great progress; she literally fought her way back to life. It is almost miraculous that the recovery went so well as the doctors at the hospital discovered that Marion had more than 50 so-called "white lesions" and a "PFO" (persistent foramen ovale) using diagnostic imaging. After 5 weeks, Marion was discharged from rehabilitation and was able to go home. Marion continued to make good progress during the following outpatient rehabilitation treatment. The PFO was surgically closed using an umbrella. 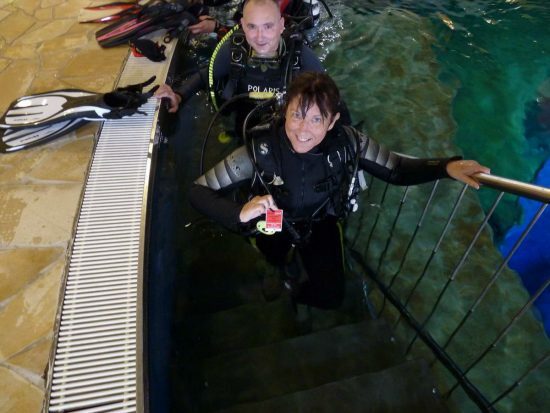 Marion carried out her first dive after her accident accompanied by an aqua med doctor at the Siegburg diving tower. 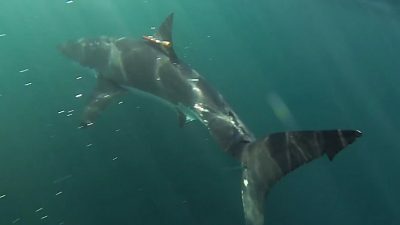 The doctor also carried out a fitness to dive examination and was able to certify that Marion had limited fitness to dive (according to the low bubble diving standard). Marion knows that she was ultimately very lucky. "I wasn't worried at any point that I wouldn't get better. Even in the Maldives. I simply thought to myself: I'm going to make it!" Marion is now fairly healthy and plans to travel to Egypt in the autumn. "However, for my husband's sake, I will just do a few dives", says Marion with a smile. Interview Marion told us the following during an interview: "My accident and everything that happened afterwards showed me that aqua med offers much more than insurance services. I wouldn't compare them with an insurance company at all. An insurance company would surely have looked for a reason not to pay my costs. I would never have thought of reporting the accident to my overseas health insurance company. During first contact you need to be lucky to find an employee who is authorised, which would have been impossible in my case. But the most important factor with aqua med is the human aspect. The personal contact with the aqua med employees and doctors was incredibly wonderful! This was and is a great motivating factor for me which has been there throughout my long road to recovery. I really did not expect this amount of care and support after the accident. I don't even want to think about what would have happened without aqua med. I am proud to say that the aqua med dive card is one of the most important pieces of my diving equipment. This accident gave my husband Günter a huge shock. Although he realised that I was in the best hands, he was extremely stressed by the situation. Telephone conversations with our friends and family could only help him with this to a limited extent. If we hadn't had both the professional and human help and the psychological support from aqua med, the situation today would be much different. I would like to take this opportunity to say thank you very much for everything!" 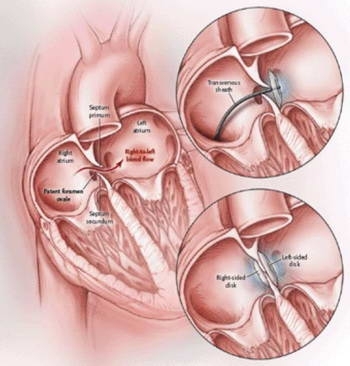 Definitions PFO: patent or persistent foramen ovale patent / persistent: ongoing foramen: hole / opening ovale: oval A persistent foramen ovale is therefore a permanent oval-shaped hole that has existed since the embryonic stage. It is located in the heart between the right and left atria. In approximately a quarter of people (20 - 30%) the hole is only partially closed during the first year of life and remains open - like a door that has been left ajar: the PFO. Tiny microemboli move through the "open hole" from the right atrium to the left side (shunt) and thus into the arterial bloodstream. However, this does not mean that the existence of a PFO is the cause of incidents such as a DCS, but it does present a potential risk. The cause is always nitrogen bubbles! Low bubble diving is therefore sensible. Low Bubble Diving In every dive deeper than 10 metres, tiny nitrogen bubbles occur which are usually exhaled using the lungs. By adapting the dive profile and recommended precautions on land, an attempt can be made to reduce the formation of these microbubbles when diving as much as possible on the one hand and, on the other hand, to reduce the risk of a transfer from the venous to the arterial side by way of a shunt. The aim is to keep the risk of DCS as low as possible. 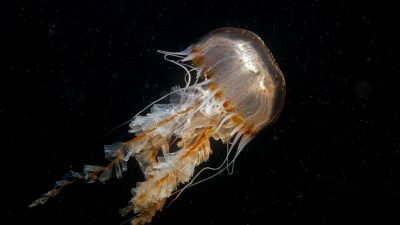 The Swiss Underwater and Hyperbaric Medical Society (SUHMS) has produced clear rules and guidelines for low bubble diving. White lesions White lesions are specific changes to the brain tissue that can be seen using diagnostic imaging (CT or MRI). They are lesions or scars that look identical to a stroke on morphological imaging but have not led to any obvious symptoms. Silent cerebral infarctions are 5 times more common than obvious strokes. The patient therefore does not know that he has suffered a "mini-stroke". This type of infarction usually remains silent because it affects regions of the brain where the damage does not lead to any obvious symptoms. 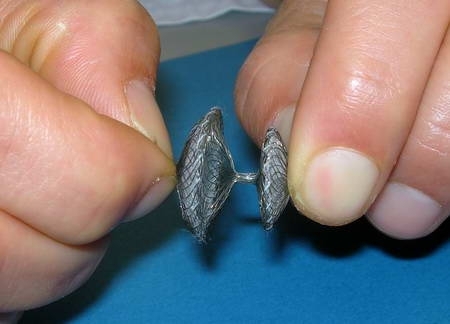 With divers, the lesions are interpreted as signs of microemboli caused by gas bubbles. Accident analysis Generally, divers should plan and carry out dives conservatively. The guidelines for low bubble diving are a good guide for diving safely and conservatively, even for normal recreational divers. What else could Marion have done? In addition to the risk factor posed by the PFO, which wasn't known in advance, she could still have done a couple of things differently. 1. When symptoms appear, even if they may be very mild to start with (slight itching, blotches), DCS should be considered even after relaxed dives. If you continue to dive despite having mild symptoms, both these symptoms and the areas of insufficient blood circulation could be worsened as a result of the further nitrogen pressure. 2. Every person releases nitrogen at a different rate. The dive computer can give you a good indication of this, but it does not take into account age, tissue perfusion or any external environmental factors. After just a few repeated dives, dive computers differ significantly with their no stop time calculations; despite no decompression obligation being indicated, this may have already been reached. 3. As the Maldives has a tropical climate, care should be taken to ensure that you take on plenty of fluids. This is particularly a problem for female divers. Marion was certainly dehydrated, which can be significantly worsened by the desaturation process. 4. Despite using nitrox, the planning for the dive was not ideal. 3 dives at around 30m cause the body to become saturated with nitrogen. If you are diving repeatedly on a safari, you should ensure that you make safety plans. Start with the deepest dive, have long surface rests and decrease the dive depth with each dive. When going on diving safaris, it can still be sensible to have a day of rest. Obviously, this requires a lot of discipline given the limited time on a safari, particularly in view of peer pressure, which shouldn't be underestimated. In these cases, in these cases, the dive guides on safaris should have the appropriate expertise.